FxPro has finally launched their new spread betting platform FxPro Edge on 11 August. One of the popular forex and CFD brokers from the UK, FxPro is authorized and regulated by several bodies including CySEC, FCA and FSB. The launch is good news for UK citizens where spread betting is quickly gaining popularity. Currently, the broker only offers spread betting to FxPro UK Limited clients who are UK citizens. Spread betting allows investors to speculate and profit on price movements of an asset. One of the biggest advantages of spread betting is that earnings are not subject to capital gains tax. Spread betting traders can now open a Limited Risk Account with FxPro at no additional cost. Some of the financial instruments available on the platform include spot indices, currency pairs, spot energies, stocks and spot metals. The order execution remains the same as that offered by FxPro and no commissions are charged on trades. According to FxPro CEO, Charalambos Psimolophitis, the launch of FxPro Edge is in line with the broker’s commitment to consistently provide its clients to invest in the financial markets. He also added that spread betting has increasingly become popular and FxPro Edge offers traders all the benefits of this new investment method plus FxPro’s professional trading conditions and No Dealing Desk Execution. The FxPro Edge launch coincides with the start of the official start of the 2017/2018 English Premier League season. FxPro sponsored team Watford FC play Liverpool on 12 August. 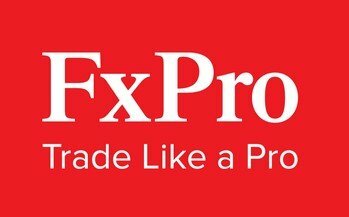 FxPro Financial Services Limited is an online forex broker that’s licensed and regulated by the South Africa Financial Services Board (FSB) and the Cyprus Securities and Exchange Commission (CySEC). FxPro UK Limited is regulated by the Financial Conduct Authority (UK)). Some of the financial instruments offered include contracts for difference (CFDs), forex, indices, stocks, indices, commodities and futures. Besides their SuperTrader social trading platform, FxPro also uses the MetaTrader4, MetaTrader 5 and cTrader platforms.